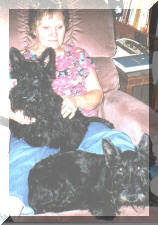 Montgomerie of Camas - AKC Scottish Terriers: "Dan"
He was a life long companion of his mate Bryn and they had 54 puppies together. 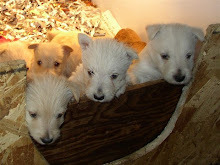 Dan was our very first Scottie. Be it antlered stag, or black bear. He's not the dog that will let you down. He's won a warn corner in our hearts. And he will be loyal to the end. When he is old and his sun has set.